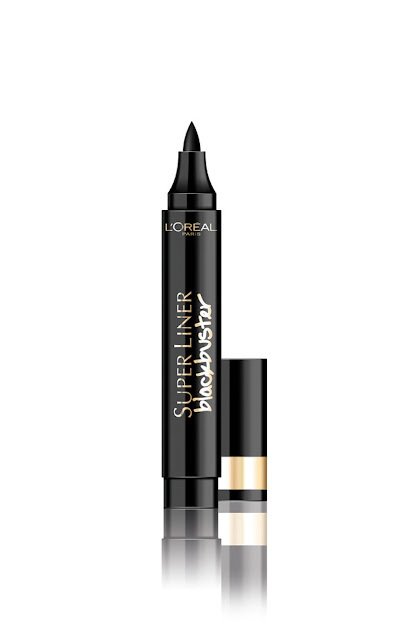 L’Oreal Paris Super Liner Blackbuster - Be Glossy In and Out! A super thick liner in intense black with supreme staying power. Whether you want a feline flick or bold, graphic look. The black pigment will last for 8 hours. This is a summer 2013 must have, the vintage eyes being very fashionable. If you want to recreate the 60s catwalk look, this product is for you. I really love how short the tip is - it looks like it would make for a super dramatic liner effect! Το eye-liner είναι μεγάλος έρωτας, αλλά σχεδόν ποτέ δεν καταφέρνω να το χρησιμοποιήσω κ' πάντα καταλήγει δώρο σε κάποια φίλη!!! Θα δοκιμάσω κ' αυτό που παρουσιάσατε!!! Egw apo `dw to ematha swsta kai twra den kanw lathoi:)) Mallon tha se bohthisei k`esena. Oh my D: I need it!